Creating a Placement from a Template has always been an effective way to maximize your time. With the addition of the bulk creation method, however, you can create Placements even faster. Simply Create a Placement Template and then use it to create Placements for multiple candidates at once. 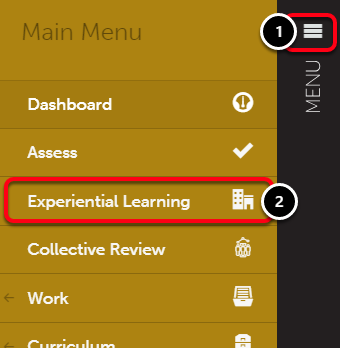 You can set up assessments and forms beforehand, and then edit each Placement on a singular basis if they require something unique. 4. 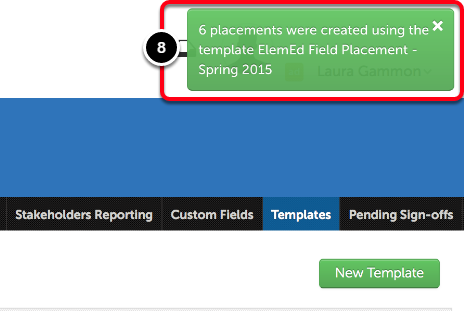 Locate the template that you would like to use to bulk create placements. Click anywhere on its row and select Bulk Create Placements. 5. In the Sources column, select the Department/Group that contains the candidates. 6. 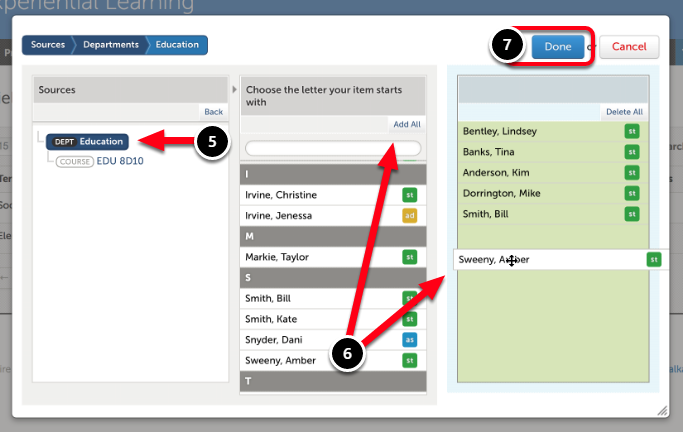 Either select the users and click the Add Selected/Add All button or Drag-and-Drop each user into the third column. 8. A confirmation message will appear in green to indicate that the Placements have been created. 9. Click on the Placements tab. 10. All of the newly created placements will appear in a table. You can click on any of the placements to View, Download Roll-Up, Edit, Duplicate, or Cancel. If the Placement is missing any information (such as an Institutional Advisor or Stakeholder) or required additional Assessments or Forms, you will select Edit.